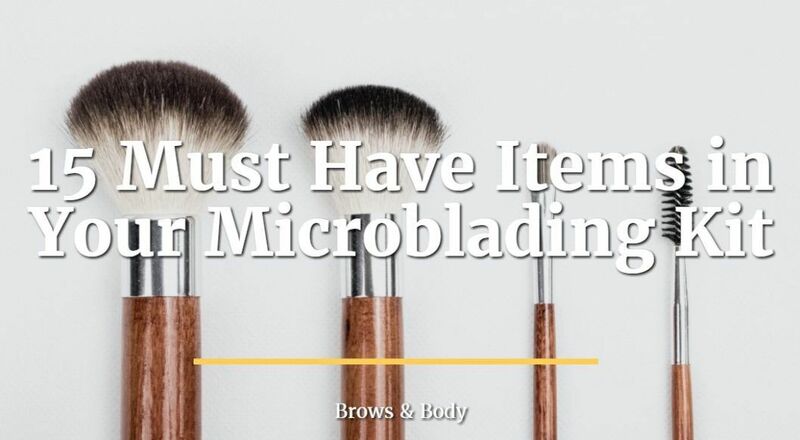 This is our list of must haves in your microblading kit - learn more about which items made the list and which didn't in this guide. The items in your microblading kit can either help you create impressive and beautiful brows or potentially hinder your performance. Chances are high that if you've undergone traditional microblading training that you were given some sort of practice kit to help get you started. Changes are also high that that kit may not have all of the things that you will ultimately need! Some of the items necessary to provide superior microblading results can be expensive. When trainers are creating their kits they may have a tendency not to include some of the higher quality items. That means you need to learn which items are high quality on your own! That's where this guide steps in. How much will a microblading kit run me? You can most likely purchase an ENTIRE microblading kit plus practice materials for right around $500. In that price I am also including a massage bed, an overhead light and a ring light to help with your before and after pictures. If you already have those items because you've been doing other cosmetic procedures then the price will most likely drop down to $200 to $300 depending on how much inventory you purchase. In most cases I recommend that you start your inventory with enough supplies to last for at LEAST 30 clients. This is sort of the number that you should expect to be doing as you get started and 30 represents a solid number which is required to hone your microblading skills. It's also a great starting point to help build your microblading business. What about those all in on kits? Do they work? I'm sure by now you've also seen some already put together microblading kits that are for sale. These kits can be a useful tool when starting out, but I don't think that they contain all of the supplies that you will eventually need. Another downfall to these kits is that they don't really give you the opportunity to try out new products to see what fits your style the best. Like anything in life you will most likely find that you are attracted to certain products because of the way that they look or how they feel while you are using them. If you purchase a microblading kit that is already put together then you are using the preferences of that particular microblader. This isn't necessarily a problem, but you will most likely want to expand out and try new products over time. In addition these kits don't often come with what I consider to be some microblading necessities that you need whenever you are performing a procedure on another person. These basics include sterile gloves, face masks, biohazard bags and so on. These basic items you will need no matter what, so if you have to buy those individually then why get a kit that doesn't contain them to begin with? Through trial and error we've come up with a list of 15 items that should be in every single microblading kit. Please note that you might find you like certain items that are not on this list but at least consider that you need supplies in every single category. When relevant we've included our favorite brands that provide great results. First on the list is microblading blades! If you've ever used low quality blades you know the importance of finding the right blade. Some blades seem to have a consistent drag which can cause you to work harder and potentially lead to mistakes while microblading. Using a high quality blade will cut back on these mistakes and help you get better results. If you're serious about microblading you'll need 3 sets of blades: #7, #12 and #14. Are these blades kinda pricey? Yes, but they are definitely worth it. It may seem counter intuitive but if you can improve your results then you can increase the price that you charge which will more than make up for an increase in overhead. Next on the list (and ultra important) is numbing cream! This cream is a necessity if you want to provide your clients with comfort during the procedure. Some artists choose to not use numbing cream probably because they don't realize that it's available without a prescription from your Doctor. You can find high quality numbing cream on the internet which is perfectly legitimate. When using numbing cream make sure you find something with at least 5% lidocaine. If you can get numbing cream from a doctor such as BLT which includes both lidocaine and tetracaine then you should, but if you don't have that option available then at least get lidocaine. You'll also want to use barrier film (more on that below) which will help increase absorption and even further reduce the pain your clients feel! This one isn't a fun one necessarily but it's still a necessity! 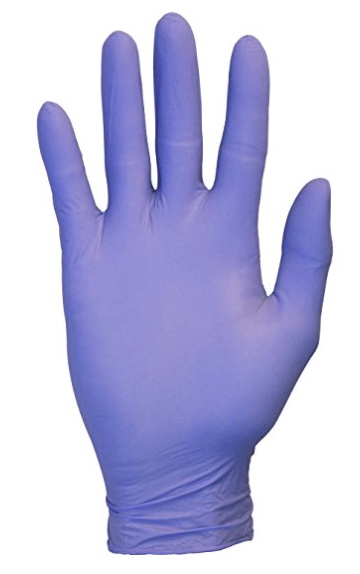 You have to protect yourself and since you are performing a procedure which may result in bleeding you need to make sure you are using gloves. Stick to gloves that are latex free (or you can get another latex free box if you want) because you never want to be in a situation where your client has a latex allergy and you don't have any latex free gloves! You can prevent this problem from ever happening by purchasing and using latex free gloves. If you are doing microblading then obviously you will need microblading pigment! Make sure to get the right type of pigment and have multiple color sets available so you can always match your pigment to the skin tone of your client. Using the right high quality pigment will help reduce discoloration of your results and will help increase the longevity of your brows. Barrier film is supposed to be used in conjunction with your numbing cream. Barrier film helps occlude your numbing cream to the face and increases the absorption of numbing cream and reduces the amount of time you have to wait for your clients to get numb. This not only helps the experience for your client but can reduce the amount of down time you have between clients and therefore increase your profitability! You apply numbing cream to the brow area and then place the barrier film over it (make sure to cut the film so that it doesn't get in their eyes, nose or mouth!). Then you wait until your client is numb! Learn more about barrier film here. Microbrushes are like the jack of all tools when it comes to microblading. They can be used to push pigment around, to help apply numbing gel/cream, to clean up the brows and so on. If you are doing microblading make sure you have PLENTY of these little guys to go around. Consider this a microblading staple. You can't microblade without a microblading pen! You'll want to spend some time finding a high quality pen with the type of handle that fits your hand and style. Your pen and the grip is very important to your overall results. While not absolutely required these are still included here because they can be a huge help. Brow stencils can really help increase the flow of your work and the efficiency, especially in clients who don't have eyebrows. You definitely need to learn how to create a brow shape just out of the existing set of brows, facial structure and so on - but once you have this down you can use stencils to help improve productivity. Brow stencils can help give an outline of the shape that you are looking for and cut down on shaping time. Definitely don't use them as a crutch, though! It would be similar to smashing a circle into a square peg, it just won't work for every client. But it never hurts to have them on hand for those clients that they do work for. If you do decide to get stencils make sure you get plenty of outlines, shapes and sizes. This will give you options and increase the diversity of your brows! The Tinkle razor is one of my favorites and I use it to help clean up the brows and get rid of stray hairs before the microblading begins. My clients also love them because I always give the Tinkle Razor to them after the procedure so they can keep their brows nice and tidy after they leave. These little guys are quite cheap and your clients will love them! Pigment rings are another staple that simply help to improve your efficiency. The ring will go on your finger and you place your pigment in the ring. This allows for quick application of pigment during the microblading process. There isn't much else to say here, just make sure you get them. Measuring calipers are another must if you are microblading. They help you identify ratios on the face, find spacing for the brows and create your shape. Learning and understanding how to use calipers should have been taught to you during your training course. Your brow shaping pencil helps you draw the shape on the face before the procedure actually happens! It's important that you find a pencil which will stay on the brow through the numbing process so that you can use your shape to guide the procedure! Don't make the mistake of spending 30+ minutes creating a shape on the face with a pencil only to have it washed away or smudged with the application of numbing cream. Wipes serve to keep your work place clean and can be used on the face of your client to wipe off the brow pencil, clean up the skin and so on. Face masks should be a staple because they will help protect you and keep you from breathing on your client while you work! You don't want them to smell your breath and you don't want to be distracted by them either! Using a mask will also protect your face and may help to reduce infection. Alcohol pads should be used to clean the skin BEFORE you start blading it. Alcohol wipes help to reduce the burden of bacteria on the skin and may therefore help reduce the risk of infection. You'll notice in the medical world that before anything enters the skin - think about shots, blood draws and so on - nurses and Doctors will apply alcohol to the area. You should be following these best practices because it makes you look more professional and it reduces your risk of complication. If you are a microblader make sure that you use high quality products and equipment. It may cost a little bit more money up front but it will pay off in the long run as you provide superior results to your clients. What supplies do you absolutely love? Which products have you found out that make your life easier? Leave a comment below to share with other microbladers!